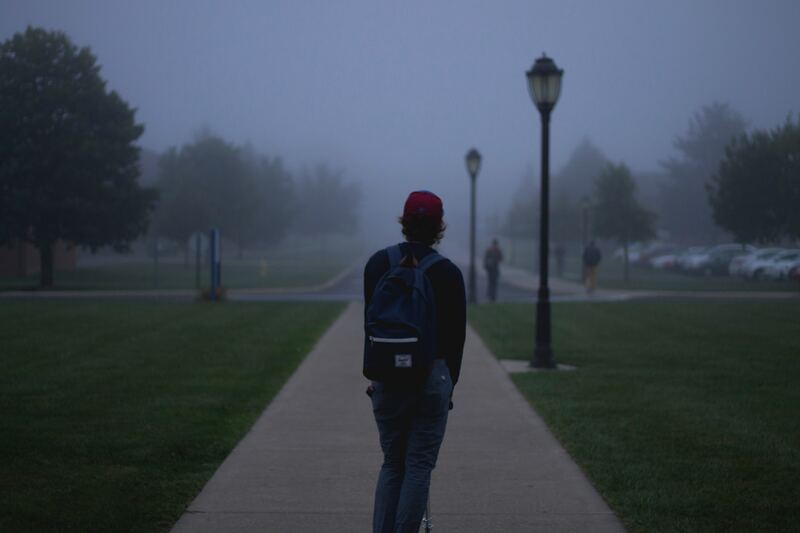 Welcome to our new section, Thrive on Campus, devoted to covering the urgent issue of mental health among college and university students from all angles. If you are a college student, we invite you to apply to be an Editor-at-Large, or to simply contribute (please tag your pieces ThriveOnCampus.) We welcome faculty, clinicians, and graduates to contribute as well. Read more here. Preface: This piece discusses subject matter that may be difficult for some readers. If you or someone you care about is depressed or may be at risk of suicidal thinking, please refer to the National Suicide Prevention Lifeline or call 1 (800) 273-8255. It is typical to hear phrases like, “I’m going to kill myself,” “pull the trigger now,” and “kill me,” around college campuses. As workloads pile up and finals season approaches, college students begin to embody walking robots of stress. What can result from this anxiety is a way of talking that flippantly uses suicide jokes as a symbol for stress. However, as college students, we use these sayings so casually that it can be easy to forget that these phrases are and can be triggers for individuals struggling with depression. For us, we can eat lunch and when asked about our work load say, “Kill myself, I have a paper due tomorrow,” and that “kill myself” has no effect on us; we get to continue on in the conversation without actually planning or even thinking twice about what we just said. For many, unceremoniously equating suicide to stress is just one of those expressions, but for others it is a real thought. We, as the individuals using suicide jokes, have the choice to know that we can say it because we would never dare “cross” that line, while others have to go back to their spaces and try and convince themselves not to turn that metaphorical trigger into a real trigger. It is crucial to be aware of the people listening, for sadly, many people are at a point with mental illness where they have suicidal thoughts — there is no way to know if the person sitting behind you and your friends in the library is someone who can be affected by your words. This is not to say that every individual with depression has these thoughts, or that the individuals using these phrases don’t struggle with depression themselves, for depression is not uniform; but it is important as individuals not struggling with a mental Illness to be aware of how our jokes can affect those listening.